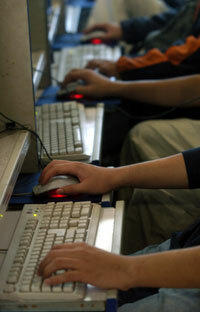 A three-day Internet gaming binge turned tragedy in China when a man had died of exhaustion, state media said Monday. The 30-year-old man fainted at a cybercafe in the city of Guangzhou on Saturday afternoon after he'd been playing games online for three days, the Beijing News reported. The report didn't say what the man, whose name was not given, was playing. China has 140 million Internet users, second only to the United States. It is one of the world's biggest markets for online games, with tens of millions of players, many of whom hunker down for hours in front of PCs in public Internet cafes.